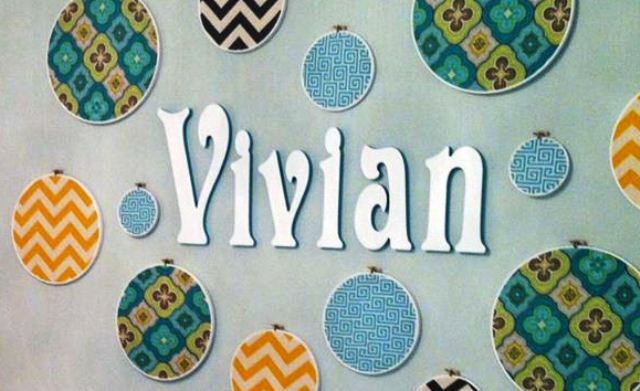 Painted wall letters are a great option for personalizing a child's room or nursery. 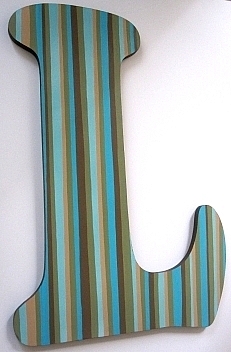 Wood letters can also be used in general rooms in the house like Bathrooms, Kitchens, Playrooms and Family Rooms. We can cut any word you need. Our larger letters are great for hanging a single letter in a family room to represent the family name surrounded by photos. They also make a great focal point in any nursery as shown in the picture below. If you send us a photo or link to a photo of your room decor or bedding, we will create a design to match. 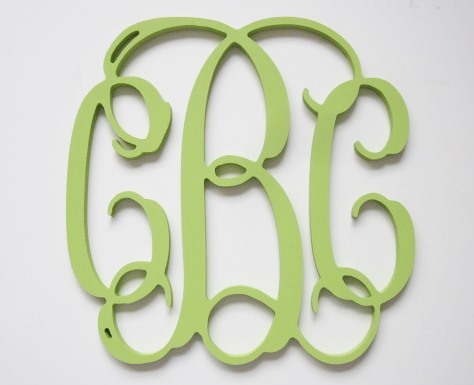 All wall letters come with a ribbon hanging option in the color of your choice or with triangle hooks. Any of the completed designs shown can be ordered as-is or they can be modified to suit your needs. We are currently in the process of adding additional completed designs to our gallery so be sure to check back periodically to view additional design ideas. Top It Off Gifts proudly offers your name or word LARGER than the competition. All of our letters are scaled to size based on the shortest letter of the font ordered not the tallest. 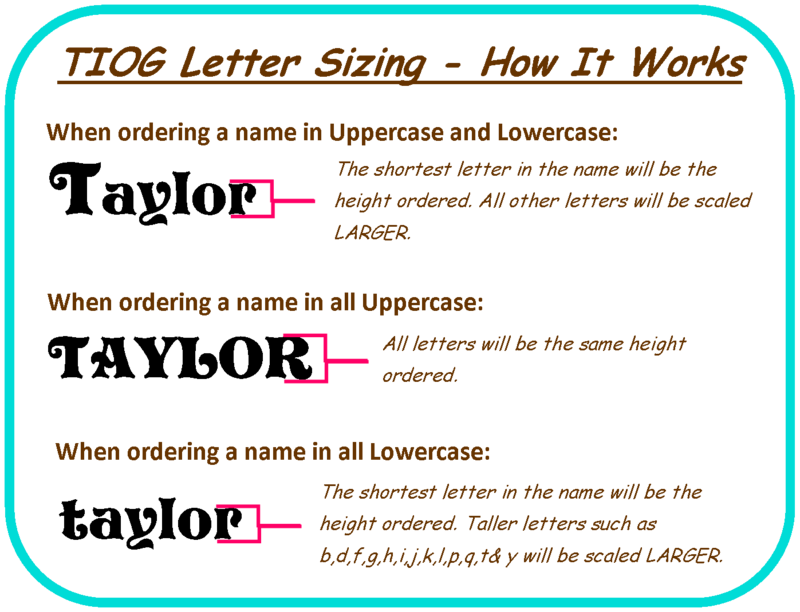 This means that the shortest letter of your name will be the height ordered and additional letters in the name may be taller but never shorter. All of our wall letters are 1/2 inch thick and are available up to 36 inches.